There are many myths about Hinduism. Some of them present it in a positive light and some in negative. In the recent centuries, scholars tried to redefine and reinterpret Hinduism from a western framework, using religious models and doctrines with which they were familiar. Since they were not acquainted with the historical processes that shaped India, they took what they saw and from that formulated their opinions and theories. 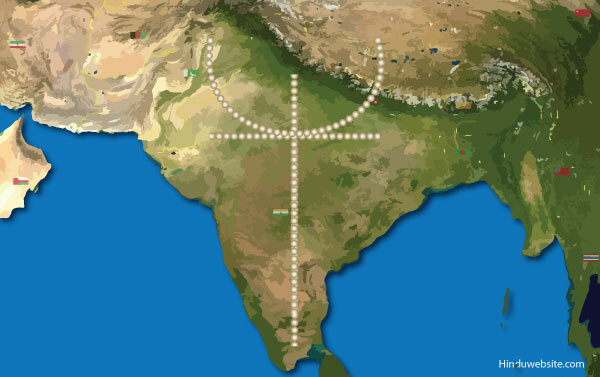 While it presented a cohesive history of Indian religions to the West and created a point of reference for further exploration, it led to complications in understanding them and their true significance. As observed by Gauri Vishwanathan in her essay, "Colonialism and the Construction of Hinduism," while the western scholars tried to probe into the mysteries of colonial India from their standpoint, there was hardly any attempt to interpret Hinduism on its own terms. In interpreting Hinduism, they used Christianity and its stereotypes as the standard to compare it with the latter with the main objective of evaluating Christianity and reaffirming its supposed superior status in the development of religious thought. Their work did present to the world the illusion of Hindu renaissance, but in reality it led to a rather distorted and condescending view of Hinduism consisting of both positive and negative elements. Their influence became so pervasive in the intellectual circles and academia both in India and abroad that even today educational institutions use some of those constructs to understand and interpret Hinduism and its history. The truth is comparing Christianity to Hinduism is like comparing a garden variety tree to an ancient rain forest. They have little in common, except that they uphold certain theistic values and beliefs and present a Godcentric view of the world. The divergent opinions that emerged from the study of Hinduism by western scholars on the positive and negative sides produced a third, independent, indigenous, and predominantly nationalistic view of Hinduism, which relied upon the same sources of knowledge in addition to new ones, to find in them the evidence of cultural, national, moral and spiritual continuity and superiority. The movement tried to trace and fuse the multiple roots of Hinduism into a holistic framework in the backdrop of rising national sentiments and increasing demand to interpret Hinduism on its own terms. The native scholars inspired by nationalism and repelled by foreign subjugation tried to present the sociocultural history of Hinduism as a rather continuous and unbroken tradition of centuries, with the narrative that its diverse aspects were part of a complex historical process that facilitated their individual growth as well as their integration into a large body of religious knowledge, which we today recognize as Hinduism. Among them, some took the process to the extremes. They mixed their religious sentiments with nationalist aspirations to present a composite view of Hindu India as representative of its people, their cultural values, beliefs and practices. Some of them went further to imply religious faith as an expression of patriotism and nationalism. Since such an extreme logic was bound to create a backlash in a diverse society, they resented those who chose to remain neutral in that debate, or seemed to question the idea, or favor the western construct of Hinduism. For them, it was all part of a great conspiracy to break India, or denigrate Hinduism. There is a whole lot of justification in what the native scholars tried to rectify, although in some aspects they might have overstepped the limits or stretched the evidence. The intolerance and aggressiveness that some of them inject into their assertions is also unacceptable. However, we cannot dispute that Hinduism ought to be studied as part of Indian history, and understood from the perspective of what happened within the Indian subcontinent rather than how the non-Hindus viewed it during the colonial era, or how they view it now with their mental filters. It must be done purely at the academic or intellectual level, without any political overtones and nationalist sentiments, devoid of the false constructs created by western scholars during the colonial era with their limited understanding of its complexity, diversity, and actual practice. Hinduism as we understand it today is the sum of numerous traditions. It came into existence in its current form as a part of India's history and the growth of its civilization, and partly as a historical necessity to make sense of native traditions and present them in their own light to protect it from unjustified and vitriolic propaganda. In its confrontation with them, Hinduism emerged as a complex world religion, which can appeal to a wider mass of humanity, and stand in its own right against their modernity, intellectual curiosity and scientific thinking. Hinduism is no more confined to the boundaries of India alone. It is no more a colonial construct that can be whipped into submission by false propaganda. It is now a global religion, with a distinct identity of its own, with followers from all over the world. It has a dedicated band of teachers, spiritual gurus, patrons, institutions, and spokespersons, who respond and react promptly and forcefully to external attacks and misrepresentations that aim to denigrate it. In this transformative process, it is bound to experience a great churning in which some old ideas, beliefs and practices may clash with emerging ones. In the commotion that follows, it may be dogged by contradictions, controversies, confusion, myths and distortions.